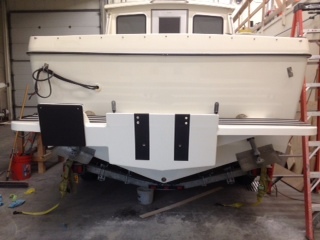 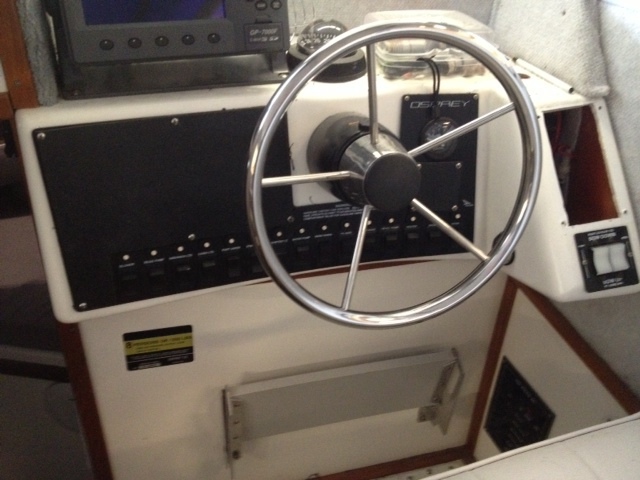 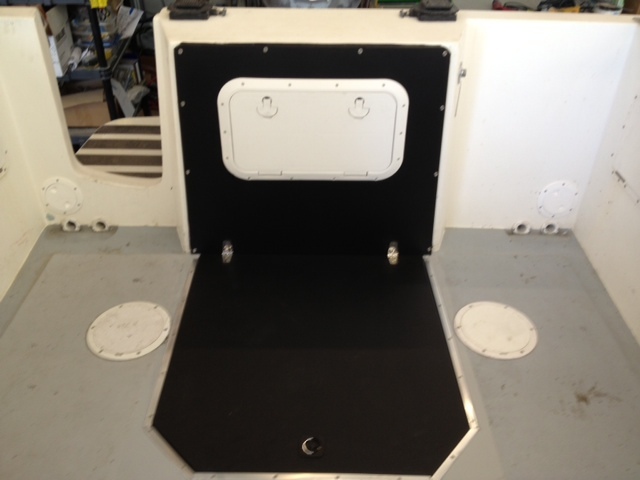 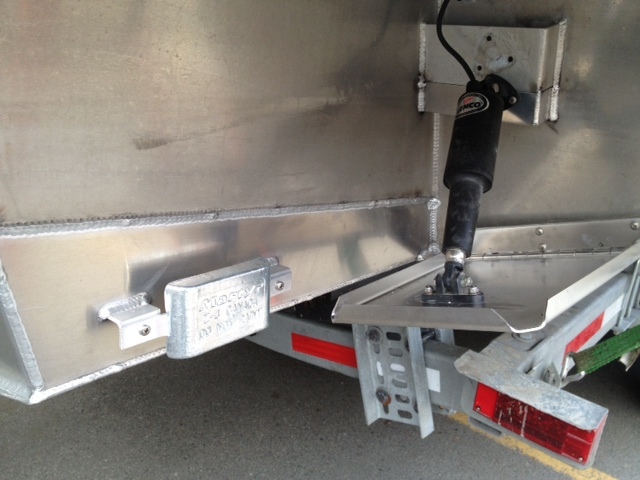 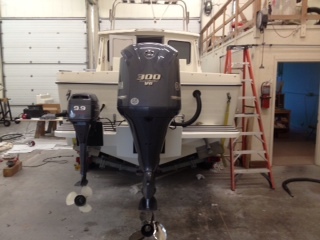 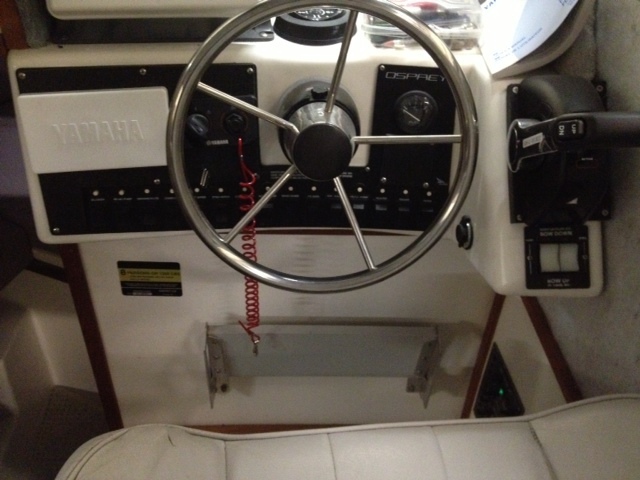 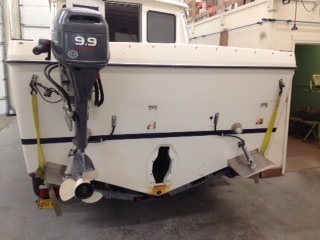 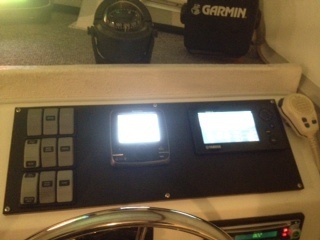 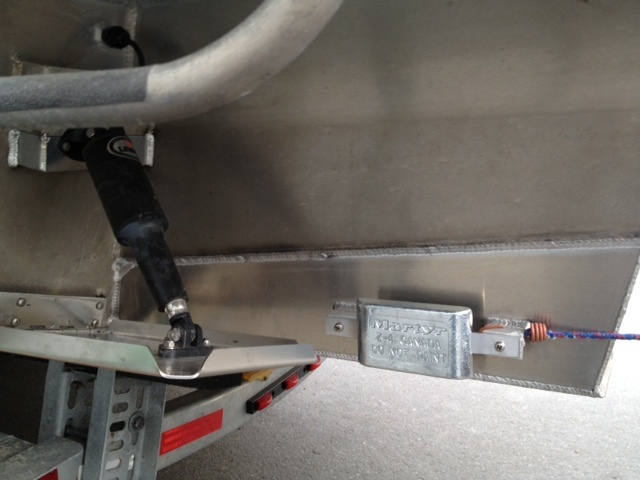 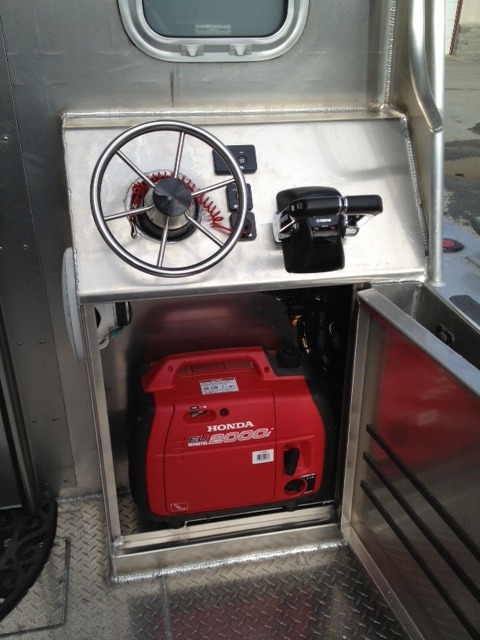 The first conversion was for a customer who owned a 2003 24’ Seasport Explorer; the 5.7 sterndrive was removed and a Yamaha 300 was installed with a Command Link + LCD . 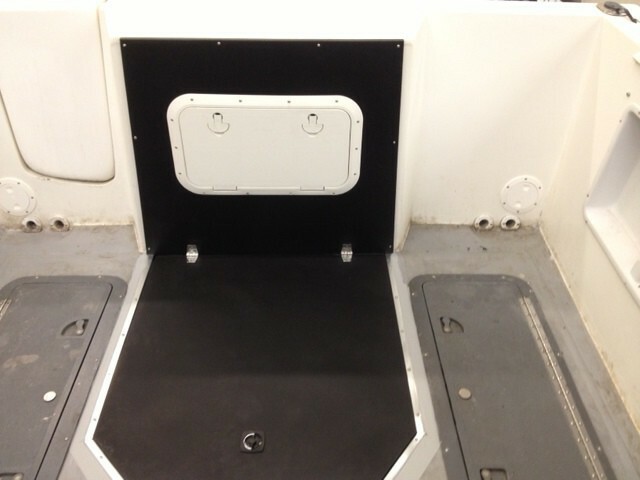 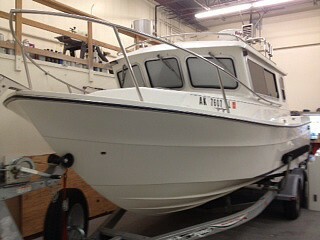 This second conversion was done almost simultaneously with our charter boat, also a 1996 Osprey. 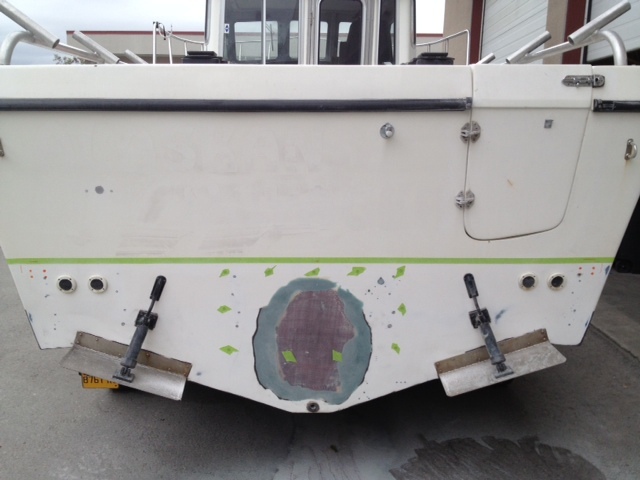 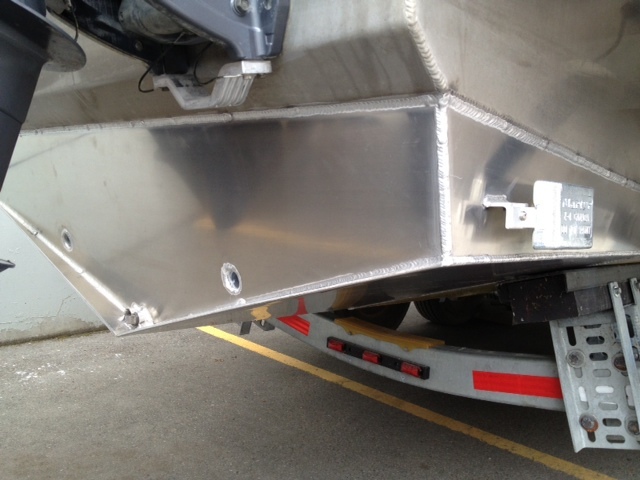 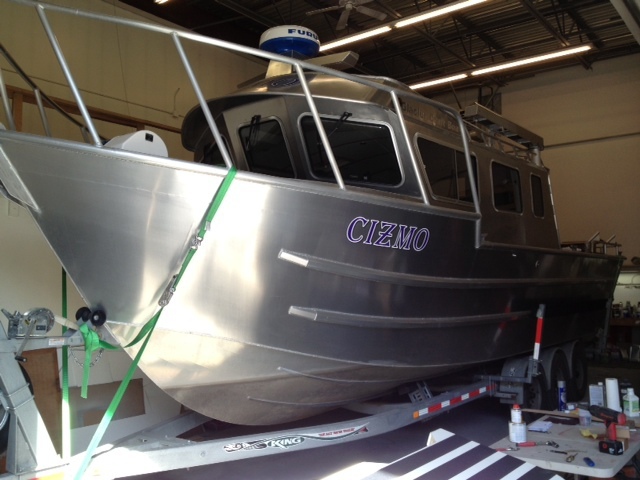 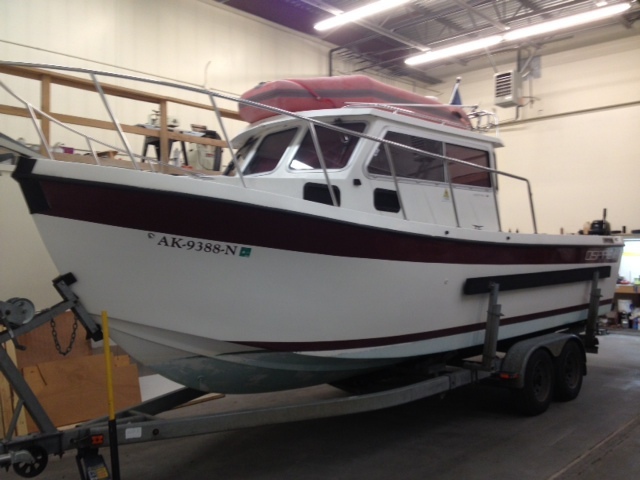 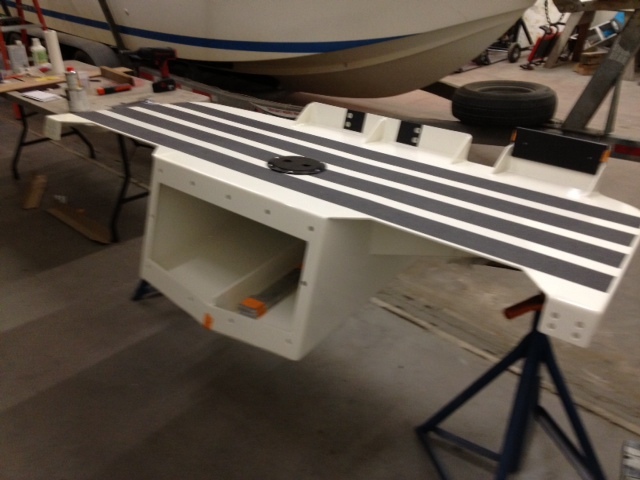 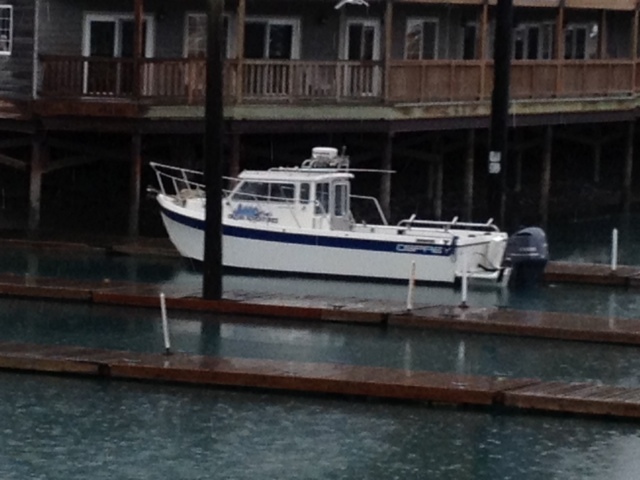 This boat is the long cabin version and the extra deck space will be valued when the fishing rigs come out. 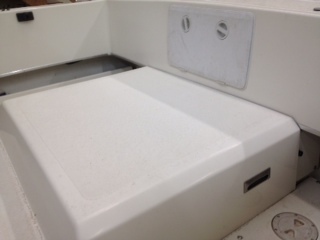 Again, the conversion is narrated with captions above the pictures. 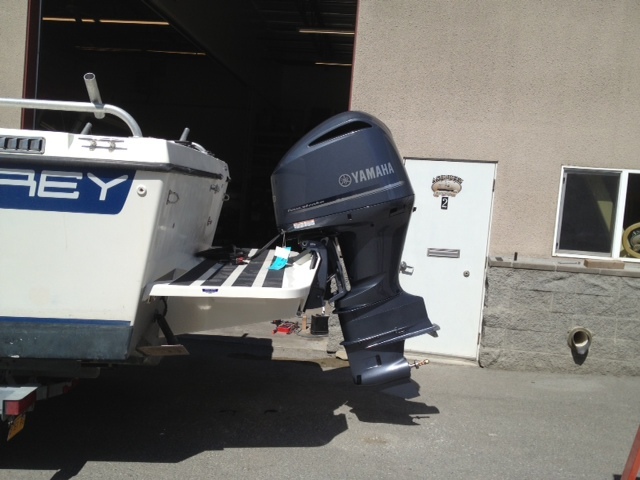 The owner chose a Yamaha 250 for his repower. 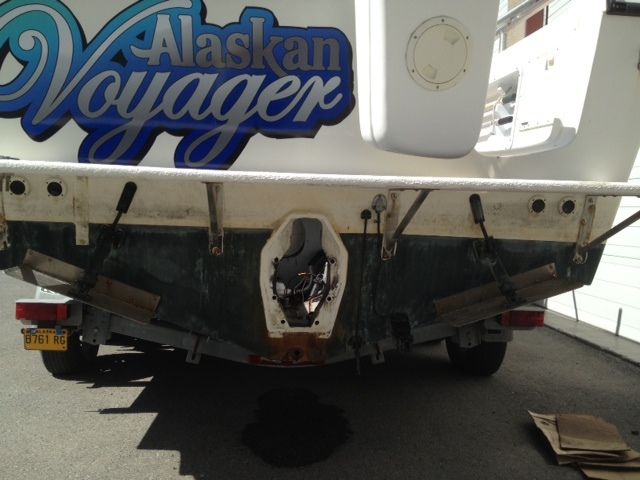 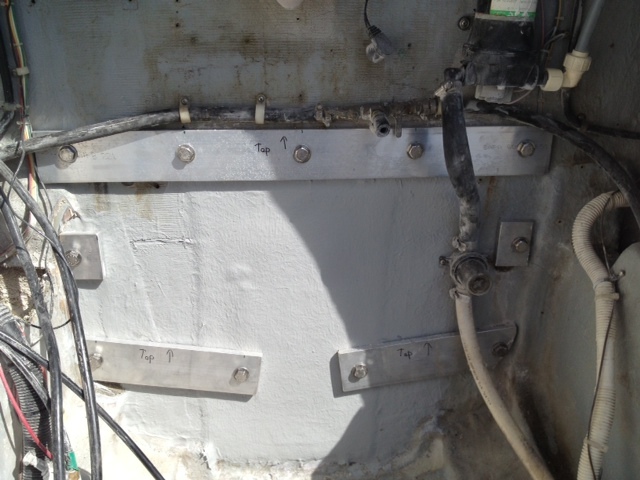 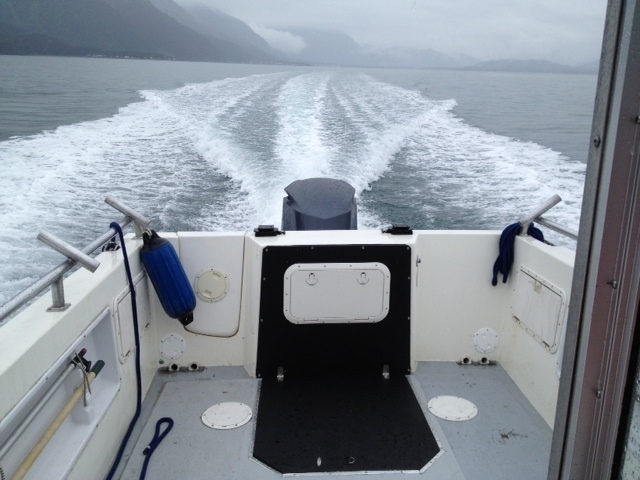 This is the conversion of our sister company’s (Jammin’ Ocean Adventures) charter vessel, “Alaskan Voyager.” We experienced the same issue – an inboard/sterndrive that was north of 1700 engine hours, and at a point where a decision had to be made. 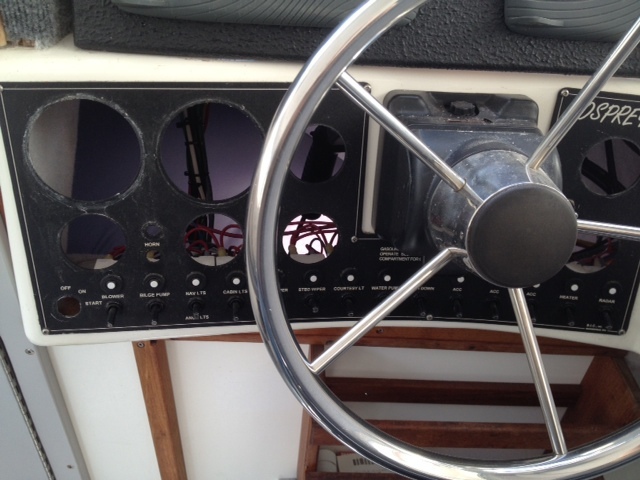 Either rebuild the current one, which was determined by a mechanic to not be worth it, go with the same set-up but a new engine/stern drive, or make the conversion to an outboard, gaining a flush deck for additional fishing space. 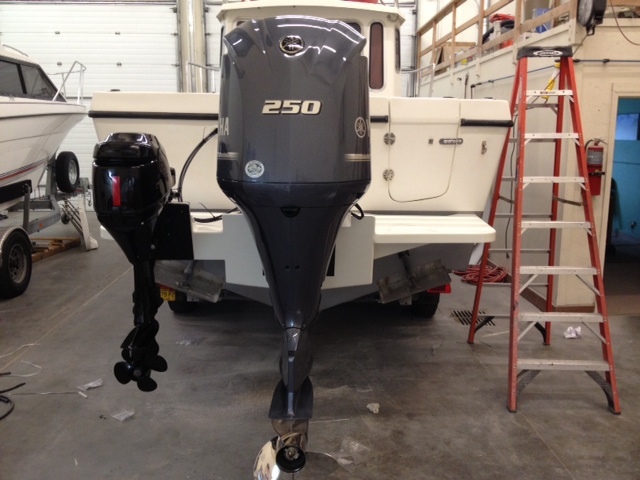 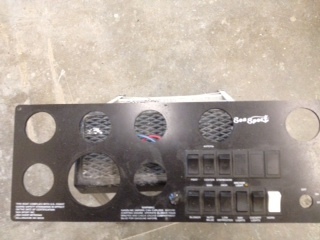 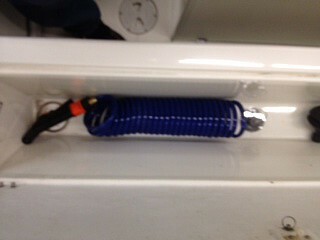 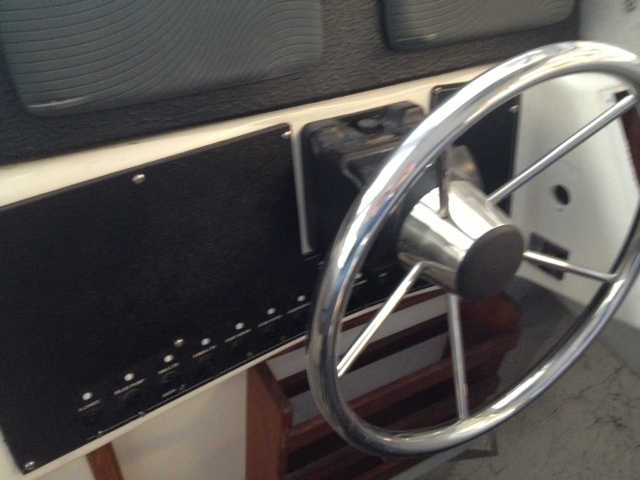 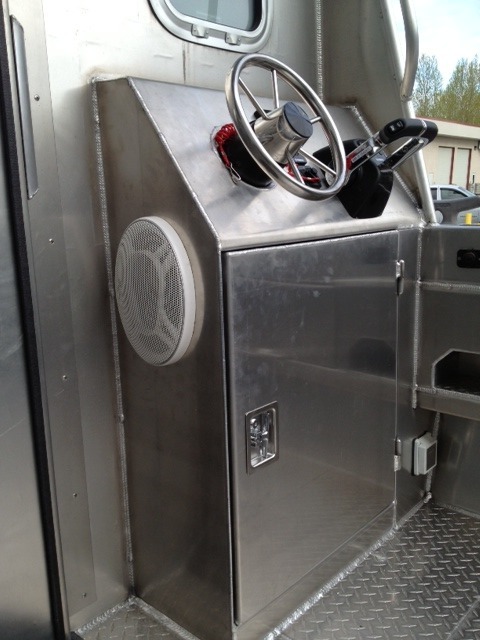 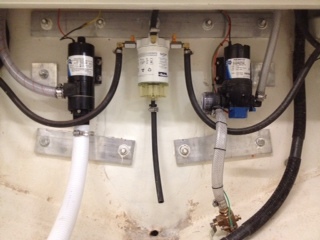 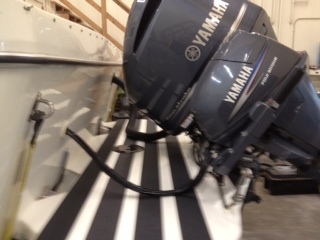 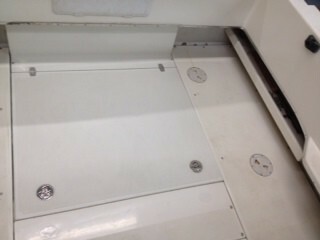 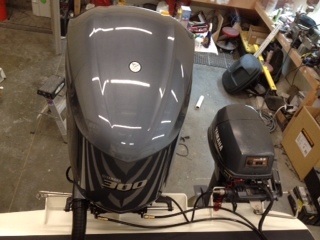 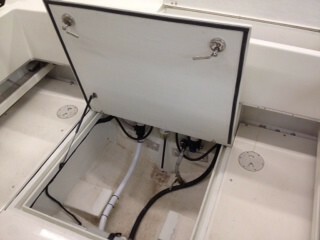 We chose the outboard conversion. 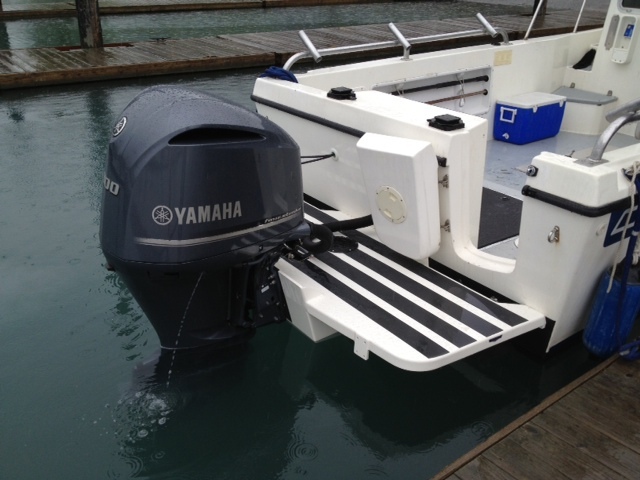 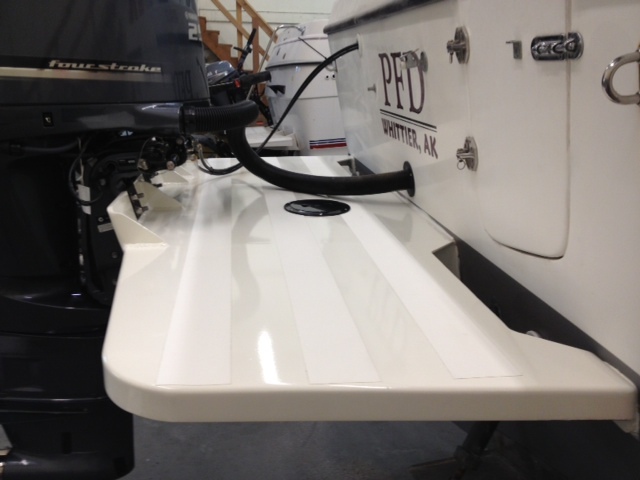 What follows are pictures of the conversion, the installation of the Yamaha 300, and some on-the-water pictures during its first sea trial. 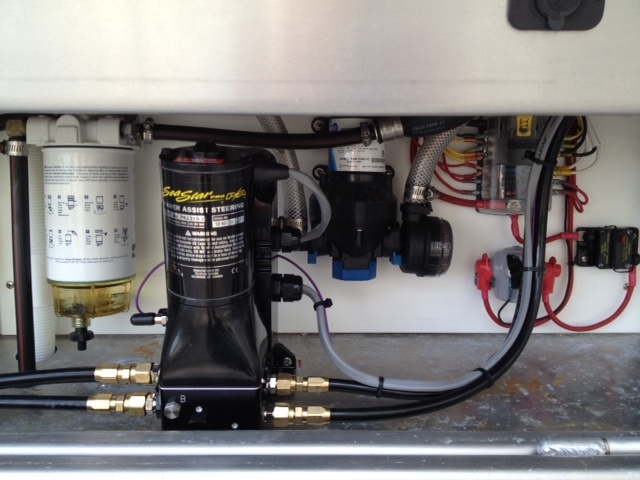 We have found it to perform well, averaging 13-15 GPH overall. 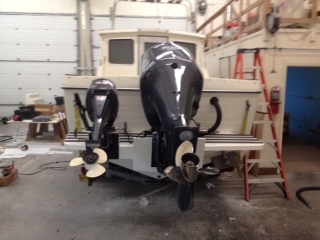 We mounted a 15.5 x 17 stainless prop. 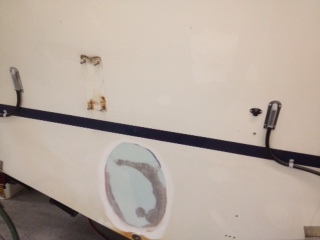 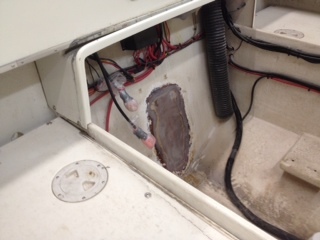 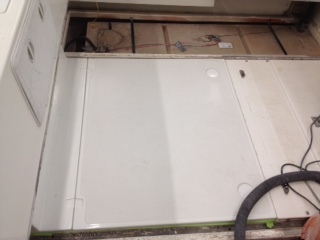 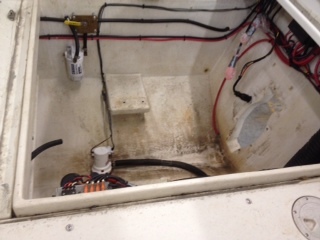 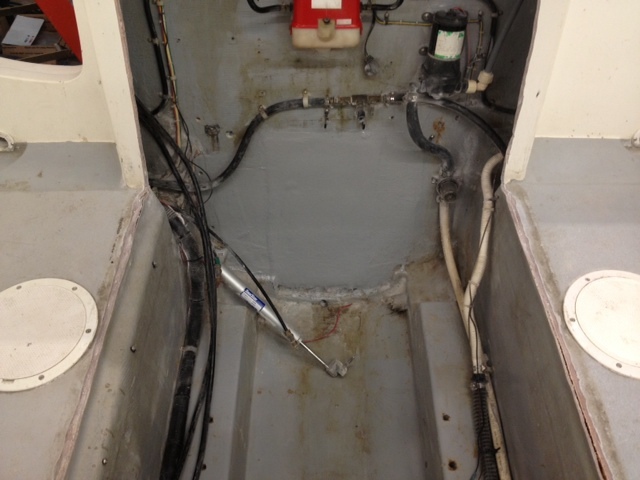 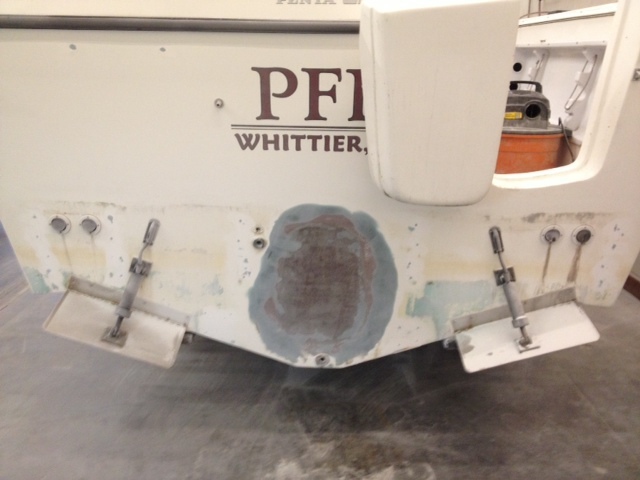 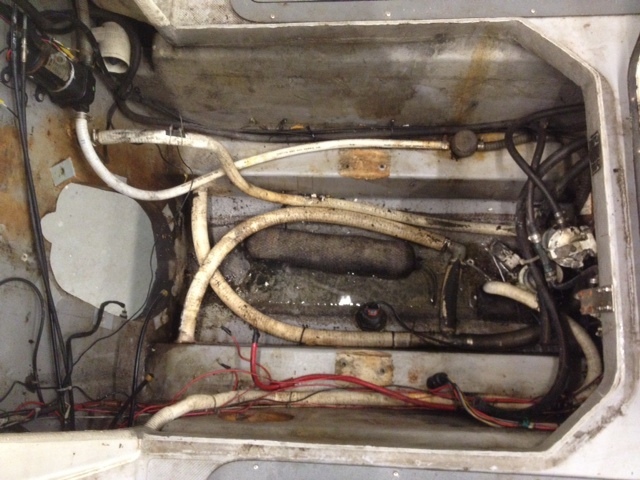 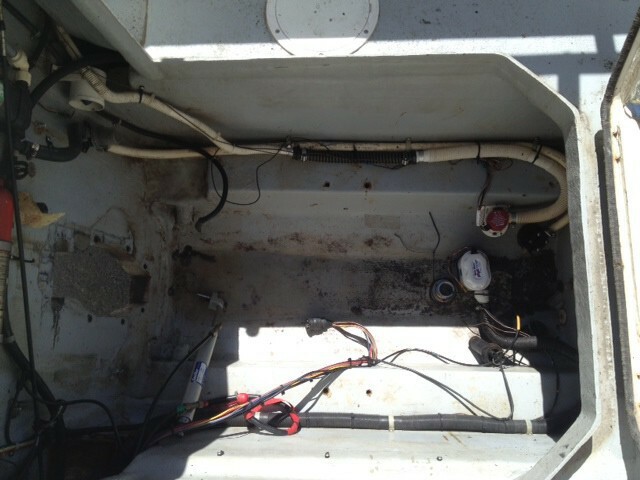 Following all of this work, we had the boat resurveyed in its entirety. 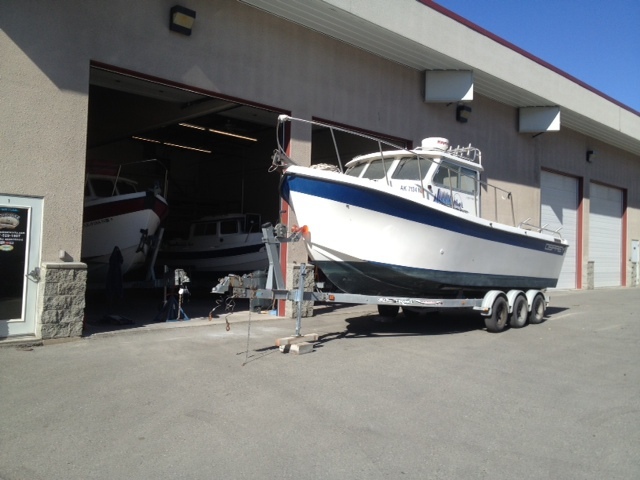 We are pleased with the entire conversion and over the last two years, have found it to have been very worthwhile. 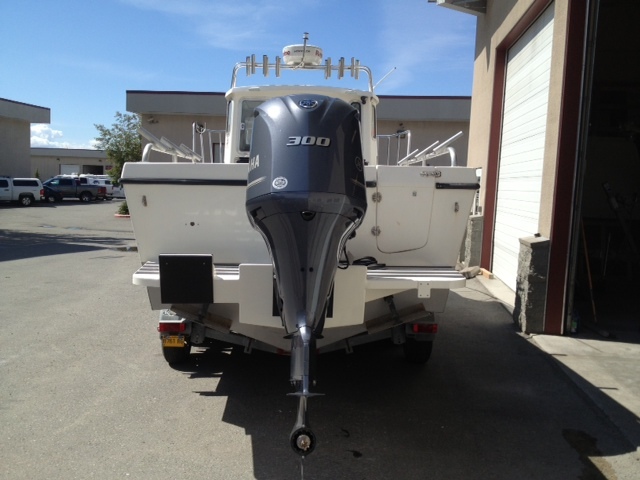 The fuel economy is superior to the inboard/sterndrive, the increased deck area for fishing, and the ease of engine maintenance has left us with no regrets. 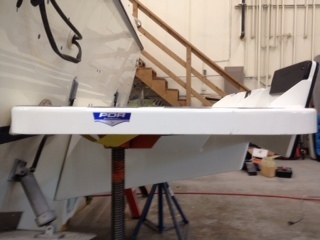 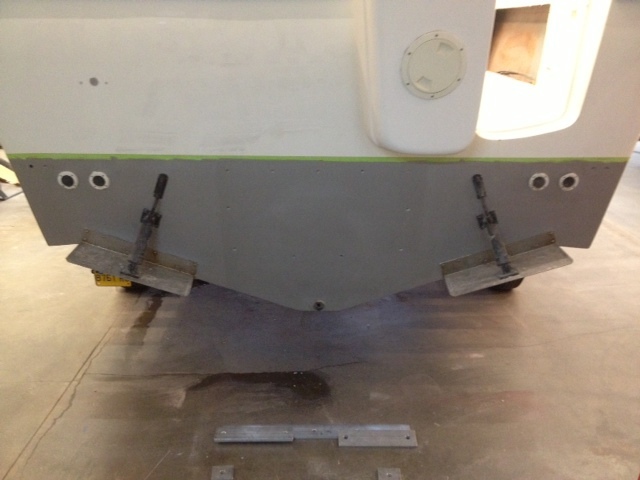 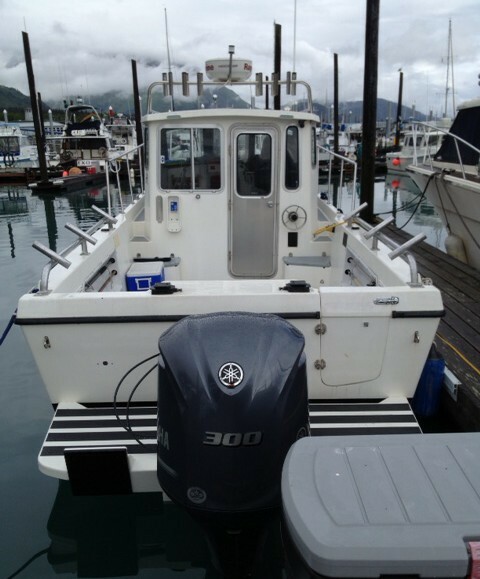 The owner of this Osprey asked Ashbreez to do all but the engine installation on this conversion. 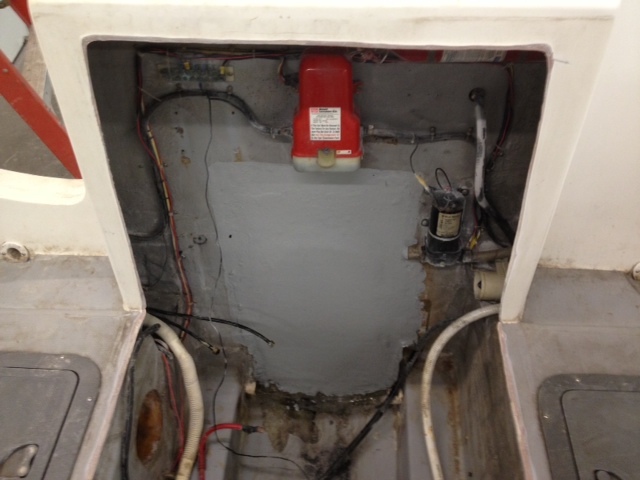 He had already contracted with a dealer to provide the Mercury engine and engine installation. 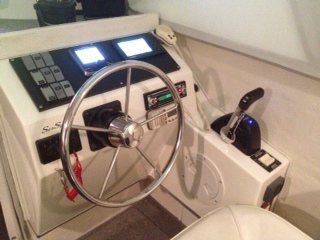 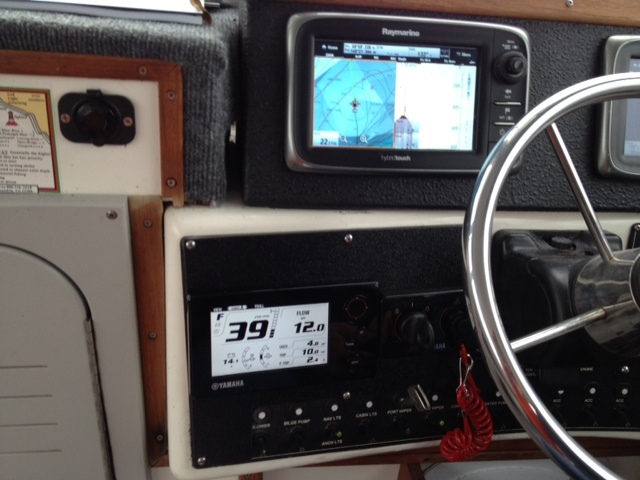 The owner of this 32' Sportfisher brought it to us for the installation of a second helm station, which involved the design and fabrication of the console, new hydraulics and tie-ins with the existing system, and outside stereo speakers. 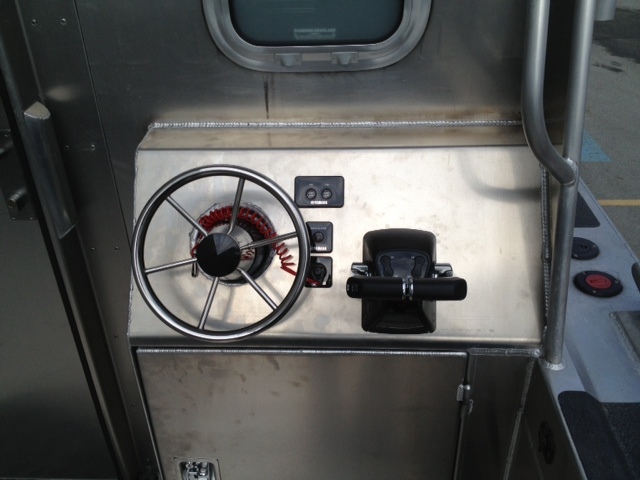 He also had a transom extension added, as well as new v-berth overhead panels,main cabin overhead and side panels, and new lighting.